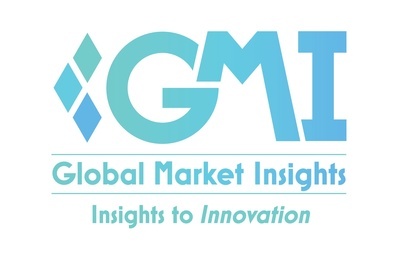 Global Dental Implants Market revenue is projected to cross USD 5.2 billion by 2024, says a new Global Market Insights, Inc. report featuring key industry trends across the product, material, end-use, and regional landscape. The surging prevalence of oral health issues such as dental caries, periodontal disease, and tooth decay coupled with the soaring geriatric population base susceptible to tooth loss have significantly fueled dental implants market growth. In addition, rapid developments in implant technology and the increasing rate of dental and cosmetic surgery for an aesthetic appeal have positively influenced the industry share in the recent years. According to the report, dental implants market from clinics accounted for the largest revenue share in 2017, followed by hospitals. The availability of advanced technological procedures for dental implantation surgeries in clinics and hospitals have been responsible for driving this segment. In terms of the regional landscape, Canada dental implants industry size was valued at over USD 84 million in 2017 and is projected to register a commendable CAGR over the coming six years. The regional growth can be attributed to the presence of a favorable reimbursement scenario in the country coupled with the rising geriatric populace that is often vulnerable to tooth loss. The key players profiled in the report are Zimmer Biomet, Institut Straumann AG, Osstem Implant, Henry Schein Inc., The Danaher Corporation, Cortex Dental Implants Industries Ltd., Biotech Dental Laboratories, Bicon Dental Implants, Avinent Implant System, ADIN Dental Implants Systems, Camlog Biotechnologies AG, Glidewell Dental Lab, Biohorizons Implant Systems, Inc., A.B. Dental Devices Ltd., and Dentsply Sirona. The companies have been profiled in terms of their SWOT analysis, product portfolio, and strategic outlook. Dental Equipment and Consumables Market revenue was valued at USD 21.4 billion in 2017 and is expected to witness 6.1% CAGR from 2018 to 2024. Growing number of patients with deteriorating oral health is projected to drive dental equipment and consumables market outlook over forecast period. Dental Diagnostics and Surgical Equipment Market outlook is projected to experience significant growth from 2017 to 2024. Rising occurrence of oral diseases coupled with increasing demand for the cosmetic dentistry are the major factors driving the dental diagnostics and surgical equipment market growth.